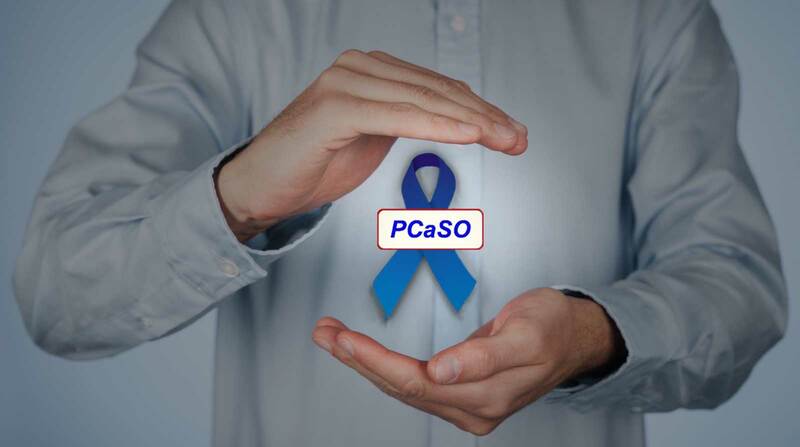 This is our quarterly newsletter which aims to update you about things that PCaSO are doing and things that are happening in the wider world or prostate cancer. 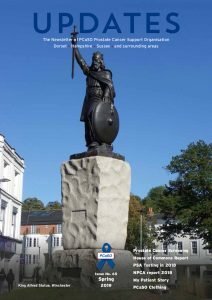 PCaSO members can join the mailing list for this or you can read it here after publication. 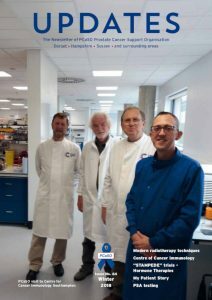 Tackle, the National Federation of Prostate Cancer Support Group, publish a good magazine called Prostate Matters. Click here to see their copies. 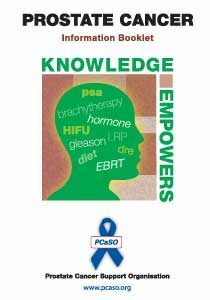 A 50-page booklet about prostate cancer. This is aimed at men who have just been diagnosed and those further down the treatment trail. 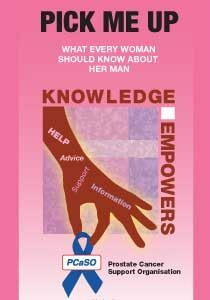 It aims to explain aspects of prostate cancer from the patient’s point of view. 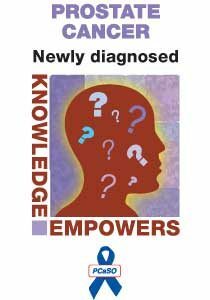 Since the diagnosis and treatment of prostate cancer is changing quickly we try and update this every two years. Some hospitals distribute this to their newly diagnosed patients. An A4 folded leaflet giving information about the diagnosis procedures, what the numbers mean and a brief outline of what’s next. This is produced for hospitals to give out to patients at diagnosis. An A4 folded leaflet aimed at men about to have a PSA test, it explains the test, the pros and cons of having it and what the results mean. PCaSO use it at all our testing events. 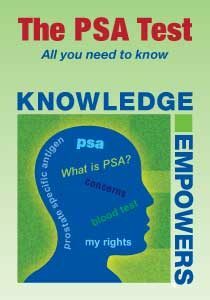 An A4 folded leaflet designed to raise awareness of prostate cancer by giving very basic information. It is designed to be handed out at collections outside supermarkets and similar events. 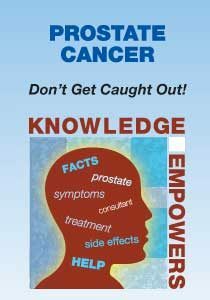 An A4 folded leaflet aimed at women to help them understand the basics of prostate cancer and to counter the male trend of ignoring symptoms. Designed to be handed out at collections outside supermarkets and similar events.